Do you know how to change your IP address with Le VPN? Are you what they call a true-blue “celebrity fan”? Do you love to follow your favorite celebrities on social media, and be up-to-date with the latest gossip? If so, you’re in for some good news. As you know, IAm is a social media aggregator. With this, you can check multiple social media accounts of your favorite celebrity at one place. If you are residing at a place where certain account is restricted, use a VPN. Just know how to change your IP address with a VPN service and get going. The latest in the row is IAm Neil Patrick Harris app. Just download the app. And you can check his Twitter, Instagram, and Facebook feeds all in one place. However, with all the content you’re browsing through online, you need a VPN connection that protects your identity on the web. And you can very well manage it if you know how to change your IP address to a VPN. Here’s how to enjoy complete and private internet access on your next trip abroad. Le VPN’s reliable VPN server guarantees you a complete internet security. Also, you can even access international content, even if they are banned by the government. It will work well on any Operating System such as Windows, Linux, and Mac. Here’s some more! You don’t have to worry about privacy. Just make sure that you know how to change your IP address and pick the suitable server location. Most of us use our phones for browsing online, and Le VPN’s apps are very much compatible with all the devices. We know how to change our IP address on the laptop, but what about mobile devices? Le VPN understands the need. And our customized mobile apps allow you uninterrupted and safe internet browsing anywhere you go. Look for a VPN connection that suits your geographical location and needs. There are many free VPN services available today. However, you may risk your data privacy if you pick a free VPN service provider. Additionally, if you are traveling abroad and unable to access the Indian content from abroad, pick Le VPN’s India VPN server. Hence, you can unblock the required content, without revealing your identity. Enjoy unrestricted internet access anywhere. Therefore, let your VPN connection handle all the internet privacy issues by changing your IP address to a different location. As a result, you can enjoy internet access on any Operating System or mobile device anytime and anywhere you want. Moreover, you can watch your favorite content that has been hosted or even blocked in India, and even access exclusive online content. For better results, you can experiment with switching servers, all the while using different devices and no speed and bandwidth restrictions. 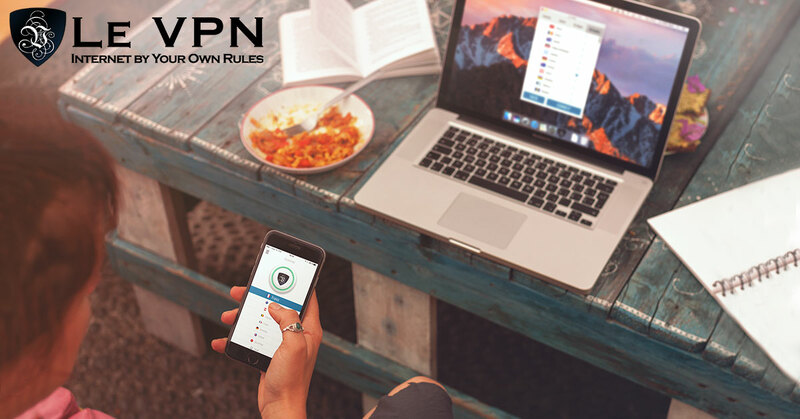 Though you would have a hard time choosing the perfect VPN, you should know that Le VPN is one of the best-known VPN servers in India. It protects your online identity by working on how to change your IP address and keeps your device safe from virus and other malware. Le VPN is very easy to use and affordable too. Therefore, subscribe to Le VPN and enjoy the seamless internet browsing experience.